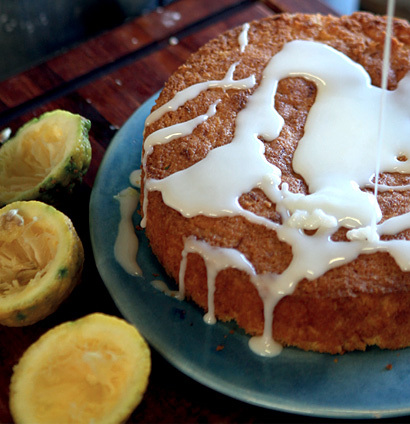 This delicious recipe is from the Taste magazine (http://www.tastemag.co.za/Recipe-2789/Lemon-polenta-cake.aspx) and was submitted by Michael Haigh. Having tried it, I know that if you have to go gluten free, you will be amazed at all the excellent and delicious recipes available on the net, and the Taste magazine has tried and trusted and tested recipes so they are reliable. If you have decided to go gluten free on doctor’s orders or just as part of a personal health quest, just know there is so much support for this today. Many health shops as well as mainstream food giants stock wheat and gluten free flours and products and there is inspiration especially through the many healers and doctors that blog about it – like Dr Hyman (http://drhyman.com/blog/2011/03/17/gluten). Once you have stopped feeling deprived for what you may not have, you will discover a whole world out there, full of many things that you may enjoy. And this recipe is definitely one of them. Cooking instructions: Preheat the oven to 160°C and line a 23 cm cake tin with baking paper.Combine the polenta, almonds, coconut and baking powder with the lemon zest.Cream the butter and sugar until pale and fluffy. Add the eggs, 1 at a time, and beat.Fold in the lemon juice and dry ingredients until just combined.Spoon into the prepared cake tin and bake for 1 hour, or until a skewer inserted comes out clean. Cool, then pour over the glaze.To make the lemon glaze, place the icing sugar in a bowl and add a little lemon juice at a time while beating into a smooth paste.